Authors and publishers at Book Cave now have the opportunity to participate in subscriber magnets. If you haven't a clue what a subscriber magnet is or how it will help you sell more books, this post is for you. Basically, a subscriber magnet is an ebook that an author gives away for free to readers in an effort to encourage them to sign up for his/her newsletter and, eventually, to buy more books. Subscribers are thrilled to get a great book for free and often find authors they love this way. So the book becomes a "magnet" for new subscribers. The subscriber magnet program is also a great way to distribute review copies or book samples. Some authors or publishers "host" their subscriber magnet on their own website, emailing readers the free ebook when they sign up. Unfortunately, a high percentage of readers still do not understand how to get that book into their ereaders, and authors spend far too much time fielding emails from confused subscribers, who unsubscribe before they really have a chance to try out the author's work. This is where the Book Cave subscriber magnet program comes into play. Book Cave hosts your subscriber magnet, and our programming walks readers step-by-step through downloading your book on their device. If they still need help, we are just an email away. All this leaves authors and publishers more time to do what they're really good at—writing and publishing! You can give away an unlimited number of books or you can put a limit on how many are downloaded. You can require an email address and let readers know they'll be added to your newsletter list, or you don't have to require that they join. The choice is yours. You can even create as many links as you want for each book (with different requirements), so you can track your promotions to see which brings you more subscribers. How do I get my subscribers email addresses? You can go to your Author Dashboard whenever you like to download the CSV containing the addresses (leads) of the people who downloaded your book(s). You can choose to download all subscribers, or only those you haven't yet downloaded. Eventually, we'll offer automatic sending of leads to MailChimp, but it's easy enough to upload them yourself for the time being. There are many ways to let readers know about your subscriber magnet, and even if you choose only one or two of the options, you will steadily gain subscribers. And more subscriber means you will sell more books. Put an image and link to your subscriber magnet in the front and back matter of each of your ebooks, inviting readers to sign up for your newsletter to receive the free ebook. Since they have already bought one book, you want to snag them as a subscriber as soon as possible. Post the image with the link in a prominent place on your website, telling readers if they join your newsletter, they'll get the free book. Post about your subscriber magnet on social media. Say something like, "Join my newsletter group and get this free book." Be sure to include the link! Ask other authors you know to share your link with their newsletter subscribers—then you do the same for them. Combine with other authors who write in your genre to do a group promotion with your subscriber magnet. In a group promotion, all the authors post to their social media and send notice to their newsletters about the promotion. This introduces all the participating books to each author's readers and finds more subscribers for everyone. Author promotions can be created on Book Cave, which will create your own private page for your group promotion. All you have to do is send a code to authors who want to participate, and the books magically appear on the page as people put the code in. You get to choose the banner and text for the group promotion page. To get in contact with other authors and organize or participate in a Book Cave subscriber magnet group promotion, join the group Facebook page. There are always promotions being organized, and this is the best and least expensive way to quickly grow your subscriber list. Sponsor a giveaway (like, say, an ereader) during a group magnet promotion on Book Cave. If you are the creator, you will gain additional subscribers when people fill out the GDPR-compliant entry form. Book Cave also has a DEALS page called Book Cave Direct with only the subscriber magnets, where readers can browse your magnets. For your magnet to show up on this page, you'll need to check the box "Make this link public" when editing the details of your subscriber magnet. Deciding what ebook to give away for a subscriber magnet is completely up to each author/publisher. You can use a book that is offered on retailers, or something you have created exclusively as a subscriber magnet. The price on the retailer is not important, but a magnet book is always free. Normally, the first book in a series is a great choice for a subscriber magnet. A short story or prequel that happens before the main series begins is also another option. Books that are permafree or paid on retailers can be in the program. Make sure to put your best work in the program because this is your sales pitch to your new reader. If they don't like the book, or it hasn't been edited, they won't be continuing with your other stories. What about samples or previews? Yes, you can give away samples of a book as a subscriber magnet. You can also give a preview of an upcoming book. However, be warned if you are not giving away a full ebook, some readers will be far less likely to sign up for your newsletter, and that means they won't be hanging around long enough to sell more books to. Samples often work better if you have a big following or if you are distributing a preview to existing newsletter subscribers. If the book you are offering as a subscriber magnet is already permafree on retailers, in your welcome letter to your new subscribers consider sending a link to another nonpermafree book or novella as an additional reward. Or send them a link to an exclusive short story not available anywhere else. Don't lump your brand new subscribers immediately in with your current newsletter. Instead, write a series of 8-12 emails as a "drip campaign" to slowly introduce them to you and your books. These should be friendly emails that don't hard-sell your books. In fact, only "sell" to them every third email. Tell them about your growing up years, your family, your favorite foods, your writing. Let them see you as a real person. Ask them questions so they'll want to respond. These emails should come about 7-10 days apart. Then after the sequence, move them over to your "main" email list, which you should be emailing 3-4 times a month. 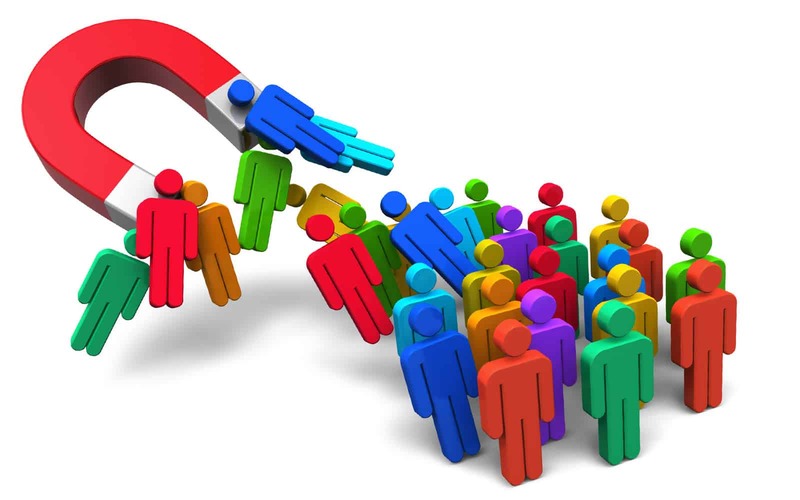 Gaining subscribers is not the only way to use the subscriber magnet program. There are other ways to use the program when you already have the email addresses of the people you'd like to give the book to. In these cases, you would choose the option on your subscriber magnet to NOT ask for readers' email addresses. Authors and publishers can distribute advance reader copies (ARCs) to reviewers. You can reward your current newsletters subscribers with a free book link for their eyes only. Easily give beta readers a copy of work in progress. Some authors (and publishers) are nervous at giving away free books because they feel it cheapens their product and will exhaust their potential sales. The fact is this is never true. If you have only one book, then using it as a subscriber magnet will increase your newsletter to a point that you will sell more books on your next release than you would have otherwise. You will often receive many new reviews—especially if you ask for an honest review at the end of your book. Simply put, more readers with your ebook in their hands means more opportunities for great reviews, and more reviews means more exposure on retailers. The many permafree books on retailers are proof that free really works, or authors and publishers wouldn't continue with them. "Loss leaders" like these free ebooks are used in every area of business: Buy one, get one free, free to the first 100 people, free for the next 24 hours, etc. You get the idea. But with a subscriber magnet, you aren't just giving away a free book, you are gaining their email address and the opportunity to sell to that person over and over. If you are friendly in your emails and write solid books, you will build an audience of avid readers that will read everything you write—and they'll share your books with friends. If you have any questions about subscriber magnets, please post it below. And if you'd like to find other Subscriber Magnet related posts, including a tutorial on how to set them up on your dashboard, please click here. If you want to upload your subscriber magnet to Book Cave, just go to your dashboard and start using it. We will eventually need to charge a small fee for this service, but for now we are able to offer it as an added bonus to authors. Go ahead. Give it a try and see what happens. Meanwhile, here's a just a few of the subscriber magnets already listed on Book Cave. Check them out! Or visit the Direct Deals page with all the magnets. 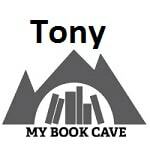 With all the talk about giving books away for free, I can't help wondering what is in it for you at MyBookCave? It's a service. We will eventually charge a monthly fee for it. At that point the question will be, is it worth paying for building your subscriber list. I have a pretty large list of followers and friends, In both Facebook and Twitter, though not all their email addresses (I'm working on that some how). Is there a way you can use that list in your building a subscriber list for me? The only way to get the email addresses of your Twitter followers and Facebook friends is for them to give it to you. The way to have them give it to you is by offering something in return, such as a free ebook. That's really where the subscriber magnet comes into play. You add a book as a subscriber magnet and create a link for it (make sure that the link settings say that an email is required). You then share that link on Facebook and Twitter "Join my mailing list and get xyz for free. Click here" or something like that. The post above has 5 examples of what a person would see when following that link. Also, my book was published by a company that uses Amazon for marketing. I have to clear any giveaways and price changes with my publisher. Is there a way around this? If you have a contract with a publisher, then you must clear it with them. But growing your subscriber list can also help them sell your books. I am working with my editor to prep my submission package to literary agents. Do not have a published book to share...Am I not premature? If you're looking to have your book published by a traditional publisher, then you probably should let them worry about publicity, distribution, etc. If you decide to go the indie route, and you feel the book is clean, then magnets are a good way to distribute the book to advance and beta readers before publication, and to reviewers after publication. My books are LDS themed. Can they be included in MyBookCave and your Christian promotions? The magnet promotions are organized by individual authors and My Book Cave does not control what authors put in their group magnet promotions. As far as we are concerned, all books are welcome to use our magnet services. So you'll want to contact the organizer directly. You can also start a group promotion of your own. Thank you for replying. I do have another question then. Does MyBookCave accept books that are LDS themed? I would like to us MyBookCave for my promotions, but they are LDS Women's Fiction. Would they qualify in your Christian genre? Because our retailer promotions are targeted toward a general Christian audience, and our readers are Christians all over the globe of every denomination, we generally only accept books for retailer promotions that will be accepted and appreciated by all Christians of all denominations. If your book targets only a small portion of that audience, whether by congregation or subject matter, it will not be featured as a retailer promotion at this time. In the future, we do hope to grow to a point where we have enough subscribers interested in the specific religions to break it down further. I use Mad Mimi for my newsletter and not mail chimp. Is there a way to get a general email list so I can then use with my Mad Mimi account? I use a different provider than MailChimp, and MBC allows me to download subscribers to a CSV file, which I then upload to my email service. It's simple and fast. I can't figure out how to create a magnet using a sample because all the Magnet UI shows is my list of books I added, not the samples. Yet, this article talks about using samples as magnets. Am I supposed to ignore the sample option when adding a book to get it listed in the book section? It looks like you ran into a bug on our website. I’ve tracked it down and it is now fixed. The preview/sample will now show up in the book list like it's supposed to. Yep, I see it now. Weird. Thanks for fixing! Are the magnet books sent out in any newsletters from My Book Cave, and/or are they featured somewhere on the MBC website for anyone to see? I am trying to understand whether it is all up to the author to find subscribers or if My Book Cave promotes the book. Thank you! Yes, we do have subscribers. If you go to the "Newsletters" tab of the "Preferences" page on your dashboard (https://mybookcave.com/account/preferences/?tab=newsletters), you'll see an option to signup for "Book Cave Direct Deals from Authors and Publishers". This is a weekly newsletter. We also post new magnets on Facebook (https://www.facebook.com/BookCaveDirect/) and Twitter (https://twitter.com/bookcavedirect). And on our website. The front page for Book Cave Direct is https://mybookcave.com/bookcavedirect/. From there you can go to the books page (https://mybookcave.com/bookcavedirect/deals/) and the groups page (https://mybookcave.com/bookcavedirect/group-deals/). The most effective way to promote a magnet, tough, is by joining a group. All authors in the group share the group link with their own newsletter subscribers and social media followers, so there is considerable cross-promotion. Our weekly Author Happenings newsletter will have links to groups in the works. We also use the Facebook group at https://www.facebook.com/groups/mbcSubscriberMagnets/ to organize these groups. Thank you for the info, Tony.